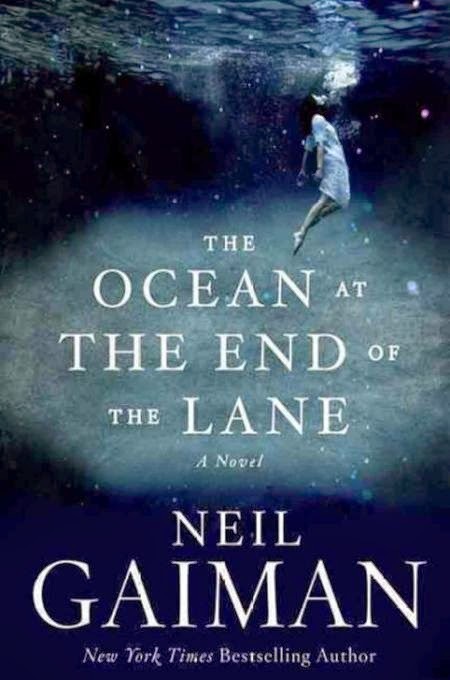 The Ocean at the End of the Lane by Neil Gaiman is a story about childhood. It's fantasy, YA, Horror, Drama its everything our childhood was. I admit I wanted to read this or any of Neil's books for a very long time so I was very happy when it finally became possible. The story starts with a middle aged man attending a funeral and then he goes to look at his old home which is no longer there and then he goes to the end of the lane to the place where he had whale of a time when he was 7 years old. This book starts as a simple memoir and jumps head first in the world of supernatural and all powerful beings and an ocean which is just a duck pond. But he was convinced by Lettie who was 11 that it was an Ocean. This is truly a magical book which would take you back to your childhood which was filled with magic and the moments which you can no longer believe to be absolutely true or may be that would happen to me and you when we are little more older. Till then enjoy the ride again its a fairly small book but you would wish that it would've been longer. But as all things perfect it is the way it was supposed to be neither too short nor too long, it is just right. If you get a chance by all means do read this book you won't be disappointed. Since this my first book by Neil Gaiman it would go for First Reads Challenge 2014. 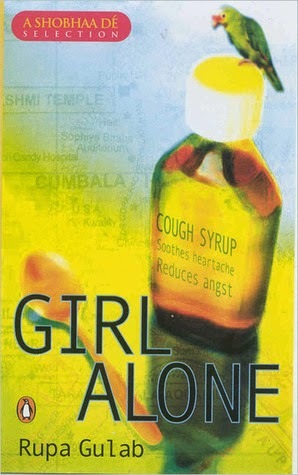 'Girl Alone' is a book by Rupa Gulab. At 204 pages it's a fairly small book. Our protagonist Arti moved to Mumbai from Kolkata for a job and lives in a hostel with her best friends Monica and Jo. Together they go through life and relationships. But its all the way through Arti's story and thus her snobbery and cynicism rules over. Arti's solution for life's tests and troubles is simple Cough Syrup. You are alone - Cough Syrup, Break-up - Cough Syrup, Feel like crying - Cough Syrup, you get the idea. As a voice Arti accepts that much and she really is a snob who feels that she is so superior to all the other less read people. Though I must say that I really liked the numerous references and quotes from classic literature and rock songs. In all I liked the book enough to finish it and didn't feel like throwing it across the room. It is an enjoyable read so if you feel like it go for this Chic Lit. My review for this book is part of IQRC 2014. I bought this book because I heard a lot of good things about it. And word of mouth is very important factor with books. I hoped to learn something good through this book. Oh! how mistaken was I. First of all this is not a book as it is just a transcript of the video by the same name, with few quotes thrown in between for good measure. 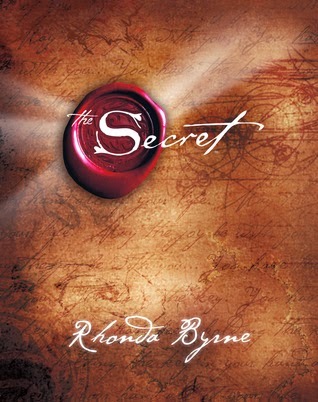 The Secret is 'The Law of Attraction' but the philosophy is quite simply dangerous. All's good and well when we are told that the Law of Attraction is most important and powerful law in the universe. But how do you benefit from the law oh do nothing just believe and it would be done. Want to be a writer then do nothing just believe you are a writer and as per this book you would get your book deal. What a Joke. My Biggest issue with this joke is that also claims that we attract all the bad things which happen to us with our thinking. Wonderful so the kid who got cancer got it because he or his parents thought about it. The Girl who got raped because she was thinking about it. Dangerous in the word. This book is dangerous and it doesn't deserve one bit of praise it got. Avoid this at all cost, avoid it like plague..
One thing which I don't like much about Indian authors is that they seem to focus only on one type of subject love stories. That is why I am always interested in the books which are different. Just like the one I have got today. 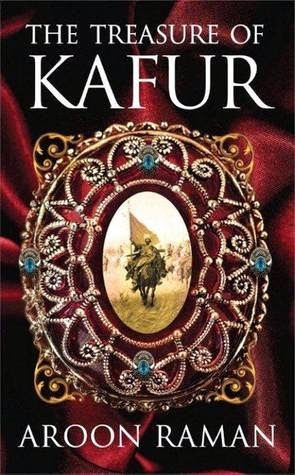 'The Treasure of Kafur' is a tale centered around India of 16th century about 1580s. This is a historical fiction and its a lovely book. There I said it, I loved it absolutely loved it for the language, for the flow, for the characters, for the story, for the research for everything the author has done. The story as the title suggests about a treasure of lore and legends actually the original treasure wasn't lost and it was huge (241 tonne Gold, 20000 Horses and 612 Elephants all laden with looted treasure of South India). But that's where fiction element come into the picture, its historical fiction and it works beautifully. Our Hero is Dattatreya a 21 years old man living with his Grandmother Ambu who are both Guardians and can communicate with animals. Datta is always with few animals Aditi - his Cow, Manas - his Tortoise, Kanka and Shukra - Ravens and Sheherazad - a parrot. Ambu comes to know of the location of the lost treasure of Kafur and the cruel ruler of country Khandesh wants that treasure to wage a war against Mughal empire. So Ambu is kidnapped by him and Datta races against time to reach Agra to Akbar to alert him of the treasure and get his Ambu free. The story progresses like a fantasy novel and there are certainly few elements. In all I simply loved this wonderful effort by the author. Hoping to read more of his writing. Note - I received an author signed copy by Aroon himself but that hasn't changed any of my words or review I genuinely loved the book. I even forgo sleep to write this review. This review is part of First Reads challenge 2014 and IQRC 2014.